We have good news – it’s like a gift with all the heart. It’s always pleasant to announce it and hope to get back a smile and a good mood. We sincerely hope that a new offer from our Company will simplify a decision taking, will make equipment buy more comfortable, more accessible and more modern. We are glad to inform you about a new possibility to buy any equipment presented by «Terrikom» Group of the Companies ON CREDIT! 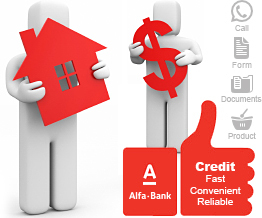 A credit financing is realized by the biggest private bank of Russia OAO «ALFA-BANK». 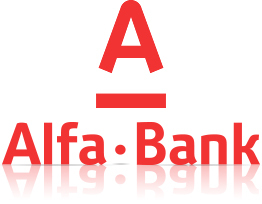 OAO «ALFA-BANK» has been rapidly developing consumer crediting beginning from 2005 collaborating with more than 2000 partners in 108 cities of Russian Federation. We are opened for new friends and new collaboration and we are sure that THIS IS A WONDERFUL CHALLENGE AND NEW POSSIBILITIES FOR OUR CLIENTS. You can issue a credit with convenient 12,5% annual overpayment during 20 minutes without any troublesome papers collecting and guarantors searching. This informational department is appealed to exclude prooflessness and to help in understanding all crediting aspects in equipment buying, and to determine procedure details. Preschedule repayment of the credit is possible any time without any penalties. Please, check debt amount before preschedule repayment (via call center 8-495-786-26-86 or 8-495-788-88-78 or via banking center presenting your passport). Payment can be realized through «ALFA-BANK» cash dispenser (without commission fee) or through “Euroset” (with 1% commission fee from the paid amount). «ALFA-BANK» offers you «Lucky» and «Lucky Light» credit products for equipment buying.